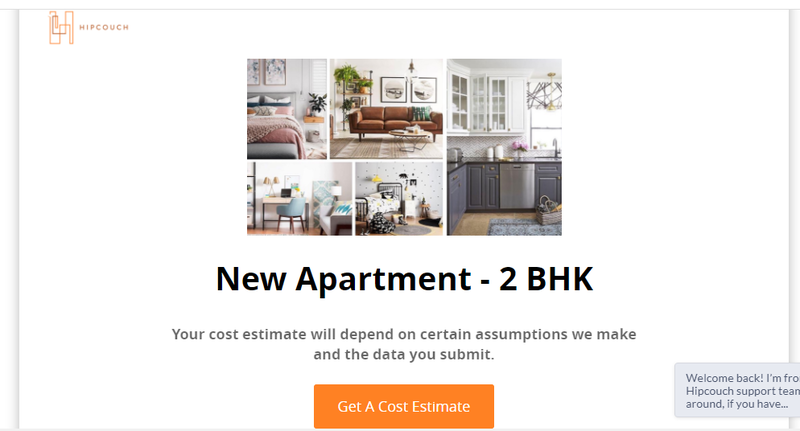 How Do You Calculate The Interior Design Cost For A 2BHK In Mumbai? Getting your own space in the ‘Maximum City’ that we call Mumbai is a dream come true for many. And no dream is ever fully realised until you see what you had in mind with your own eyes. While purchasing a new home is the perfect start to a new life, the novelty soon wears off and it becomes necessary to make some changes to the interiors. An interior designer will do just that for you by curating and picking out stuff and designs for your new home that reflect your sense of style. However, the one question that plagues every homeowner before undertaking an interior design project, is - how much will it cost me? It is extremely important for a homeowner to determine a budget which establishes a limit on how much he/she can spend on the whole deal. Let’s make it simpler by pointing out the factors that contribute to the interior design cost of a 2BHK in Mumbai, and an approximate amount you might need to shell out to get your dream 2BHK! Before embarking on an interior design project for your home, it is important to note the factors that influence its cost. Here are some of them. The area in which your flat is located is a major deciding factor which influences your interior design costs. Designers will generally cite high costs if your flat is located in the posh lanes of South Mumbai or the upscale western suburbs, as the real estate costs are also high here. On the other hand, more conservative areas like Central suburbs and Navi Mumbai will comparatively have lesser rates. Interior designers charge fees in different ways. The most common one being cost charged per square foot. Basic rates are INR 40 – 50 per sq. ft, which can go up to INR 500 per sq. ft. depending on your choice of interior designer. An average range is anywhere between INR 100 – 150. Designers also charge a percentage of the entire project cost which can vary from 8% to 15% depending on the experience and expertise of the interior designer, or a fixed flat fee. The quality of the materials used in making your furniture would determine your project cost. The higher the material cost, more expensive will be the furniture. If you are looking to invest in custom-made furniture, again costs will be higher as compared to readymade furniture. It completely depends on your budget and requirement. Custom made furniture, though costly, will give you sturdy items that are long-lasting. It also gives you the flexibility to design furniture exactly that fits your space and personality. In case of ready-made furniture, it will be delivered quickly and will cost less comparatively but might not fit your requirement. For e.g. you like a dining table set consisting of 4 chairs, but you have a family of 6. Custom furniture is the preference in such cases. In custom furniture, the kind of wood used will also make a huge difference to the costs. Different types of Plywood or Blockboard are used depending on suitability and will have varying costs. It’s best to get an estimate from the designer before finalising on these costs. Additionally, the kind of flooring used, the kind of paints chosen for your walls, if you choose to have a false ceiling, additional accessories, etc. will also contribute to the cost. If you wish to have a smart kitchen, the cost will increase drastically. There are a host of incidental costs that occur like costs of civil work. Most builders will provide you with the civil work done like bathrooms, plumbing, flooring, door and window frames, brick walls etc. If you would like a different laminate to be used on doors or a different type of flooring for any of the rooms, it will cost extra. Cost of Carpentry will involve TV consoles, bookshelves, dining tables, wardrobe, beds, seating, panelling etc. Other works like False Ceiling, electrical work and lighting will entail separate costs. Evaluate your requirements and lay them on the table to help your designers work out the best deal for you. It hardly makes sense to invest a huge amount in heavy furniture and too much detailing, if you are someone who likes to experiment with new things and need to change the look of the house every four or five years. For e.g. getting custom-designed chairs with intricate woodwork done will cost you a lot more and it would be a pity to replace them after a while. Generally, these are long lasting items that are carved out of huge pieces of hardwood. It makes sense to invest in readymade furniture that is light in weight and budget-friendly in that case. Personal preferences play a part in influencing the interior design cost. Modern minimalistic designs will cost less as there is minimum furniture involved. Smart wallpaper lined walls together with a modern sofa set and a small centre table can look very simple & elegant, if tastefully designed. 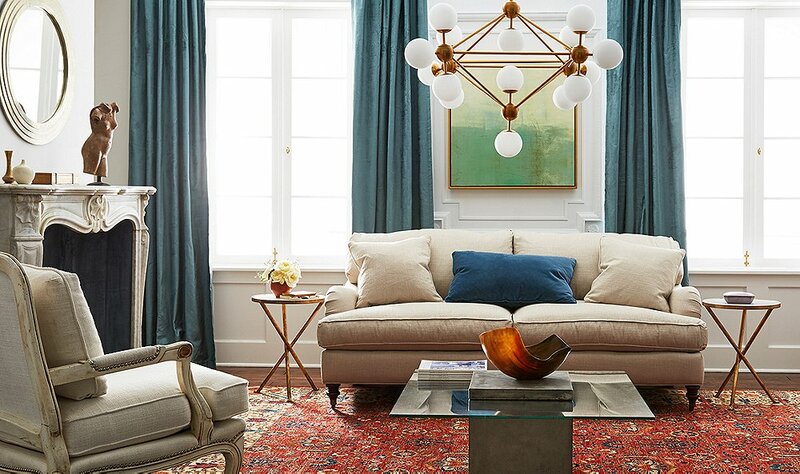 If you prefer a fuller room brimming with different elements, yet looking cohesive, it can cost you a little more but with proper guidance, you will get help on how to keep your costs in check while maintaining your sense of style. The price of doing up your 2BHK will vary depending on the total area of each room and the interior design style you opt for. It will also vary from designer to designer, and based on your preferences of the material for the furniture, the kind of finishes you want, and a whole lot of supplementary costs. It would help to have an estimate of just how much it would cost you, to fix up a budget and have some peace of mind. How's that possible? Here you go! Get A Quick Estimate For Your 2BHK! Visit Hipcouch's website and click on 'Get Estimate'. Choose the 'New Apartment - 2 BHK' Calculator. Answer questions related to the area of your home, the kind of furniture you need, preferred materials, etc. Speak to an expert today to help you breeze through the interior design process for your home! Newer Post7 Space Saving Design Secrets For Small Kitchens In Metros! Older PostHow To Get Quick Estimates For Your Home Interiors!